Accepting the role of family caregiver doesn’t require a degree or background in healthcare. You can assume the position and learn as you go. However, there are some qualities every caregiver should have. Continue reading to learn about the characteristics you should possess if you want to be a good family caregiver for your aging loved one. You’ll need to communicate with your loved one as well as with his or her medical providers and other family members. Good communicators know how to simplify difficult terms and situations, making things clear and concise. If your loved one develops dementia, Parkinson’s, Alzheimer’s, or another condition that impacts thinking skills, speech, and memory, you’ll need to create practical ways to communicate with him or her going forward. The challenges of caregiving could make you feel upset and agitated, but you need to maintain a calm approach when handling these situations. Becoming angry could make things worse and damage your relationship with your parent. Good family caregivers know how to remain calm during difficult times, especially emergencies. Keep in mind you don’t have to take on all the caregiving responsibilities yourself. Many seniors prefer aging in place over moving to an assisted living facility. If your senior loved one needs assistance to remain safe and comfortable while living at home, reach out to Home Care Assistance, a leading Clarksville home care service agency. Our dedicated in-home caregivers can assist with meal prep, bathing and grooming, exercise, medication reminders, and many other important tasks. As your loved one’s health decreases, his or her memory, motor skills, and other abilities may not function as well as they have in the past. As a result, he or she may rely on you for help with daily tasks such as laundry, bathing, managing medications, driving, and preparing meals. Be compassionate and remember your loved one isn’t in control of these changes. Don’t be critical or demeaning. One caregiving error could lead to significant problems for your loved one. A good caregiver needs to be attentive. Monitoring your loved one’s daily actions can prevent accidents, failed treatment, and serious injuries. 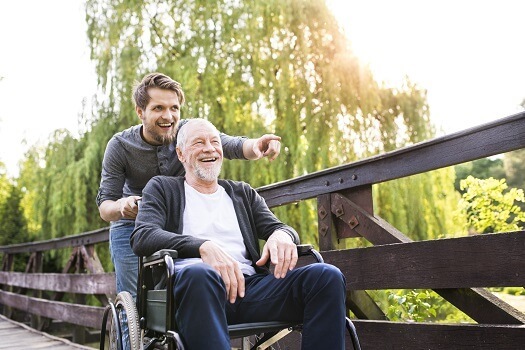 Attentive caregivers will notice changes in their loved ones’ health and handle those changes accordingly, such as altering social activities and diet plans or requesting alternative treatment from a primary care physician. There will be days when you want to quit, but giving up your caregiver role with no plan in place could put your loved one’s health and safety in jeopardy. Good caregivers are reliable and show up for their loved ones. If caregiving becomes stressful, ask others to step in while you take an extended break. However, you should never walk away and leave your loved one without adequate care. Family caregivers need to care for their own wellbeing. If you’re caring for an aging loved one and are feeling overwhelmed, consider hiring a professional caregiver to provide respite care. Clarksville families who want to prevent burnout can turn to Home Care Assistance. One of our professional caregivers can assist your loved one at home while you take a nap, go to work, run errands, or go on vacation. Most family caregivers have access to their loved ones’ medical information, financial statements and accounts, and other personal data. They need to keep these documents and sensitive information secure at all times. Seniors trust that their family caregivers won’t mismanage the accounts or use them for personal reasons. A trustworthy caregiver never takes advantage of his or her loved one or discloses personal information. Being a caregiver for a loved one can be extremely rewarding, but it can also become overwhelming at times. Seniors can face a variety of age-related challenges. Though some families choose to take on the caregiving duties, there may come a time when they need a trusted Clarksville senior care provider. Families sometimes need respite from their duties so they can focus on their other responsibilities, and some seniors need around-the-clock assistance that their families are not able to provide. Home Care Assistance can be your trusted partner when your loved one needs help with the challenges of aging. We will work with you to create a customized home care plan that’s suited for your loved one’s unique needs. Call the Home Care Assistance team at (931) 444-1950 today.